Do you have a property that you need/want to rent out? First of all ask yourself how much do you know about property lettings? It is possible to let your property privately without the use of a property lettings agent, but using one like us has quite a few advantages. We will market your property for you and organise viewings, get references from your tenants and draw up a tenancy agreement for you. We will also manage the property and take care of any maintenance issues, dealing directly with the tenant on your behalf. A very important task we handle is rent collection. According to The Tenant Arrears Tracker, published by LSL Property Services the number of tenants who are more than two months behind of their rent has risen dramatically in the first quarter of 2013 from 4,000 to 94, this represents an increase of nearly 5 per cent. We take the worry and stress out of this part of letting. Did you know that your tenant’s deposit must be kept in a government-authorised tenancy deposit protection scheme. It is held there until the end of the tenancy when it should be returned, assuming the tenant has kept your property in good order. The idea is to protect tenants from unscrupulous landlords who withold it unreasonably. Many people don’t want to handle all these extra responsibilities or simply don’t have the time. At Mistoria Estate Agents, your property lettings agent we will ensure that your property and tenants are well looked after. 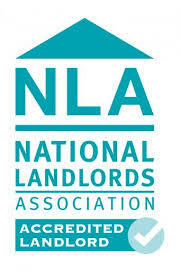 For more information please see our LANDLORDS page.